The Chemistry GLC organizes ChemKeg, which is held on every Friday at 5 pm from April – October. Kegs of beer are purchased by the GLC on behalf of professors, post-docs, research groups, and others for the entire department to share on the Chem Plaza. Everyone is welcome to come and socialize Friday afternoons. Make sure to bring your ID if you wish to drink. New graduate students are automatically enrolled in the ChemKeg weekly email but if you are a post-doc or visiting student you can also be added to the email list by contacting the GLC. 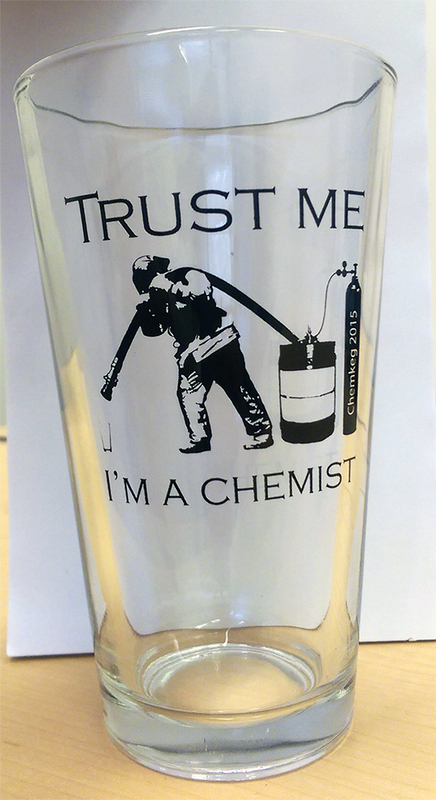 Every year the student body designs and votes on an official ChemKeg glass. If you are interested in designing the new glass please send all submissions to the GLC.